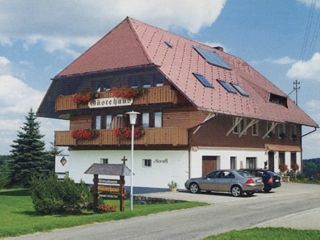 Our family-friendly house is situated on a hill with stunning views over the beautiful Schwarzwaldort Grafenhausen. The quiet location of our house is highly appreciated. It is only a 5 minute walk to the center and to the park with children's playground. We offer a large lawn directly at the house, a hearty barbecue area with barbecue hut and rustic seating. Room, shower / WC and TV, some with balcony. Bed and breakfast buffet: € 28.00 / person plus € 2.10 city tax. 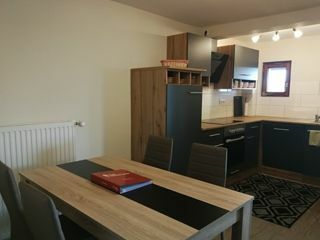 Apartment with living room, bedroom, separate kitchen, bathroom, balcony, TV, about 55 square meters. Price for 2 persons € 46.00 plus € 1.50 city tax, each additional person € 7,00.